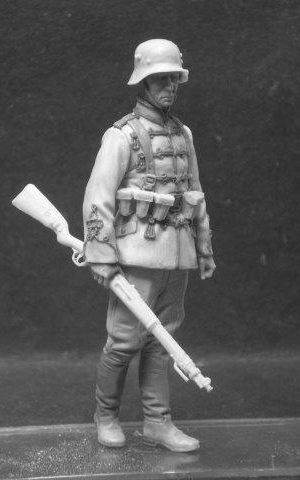 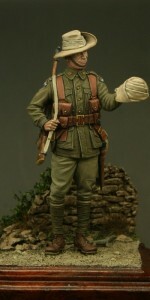 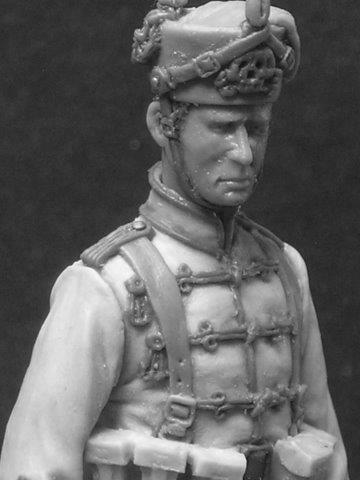 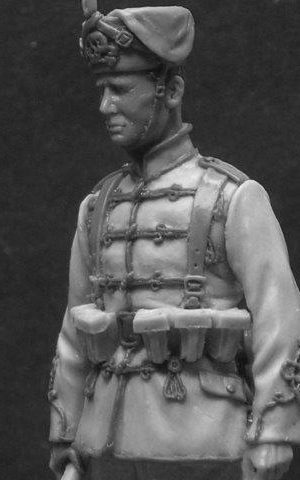 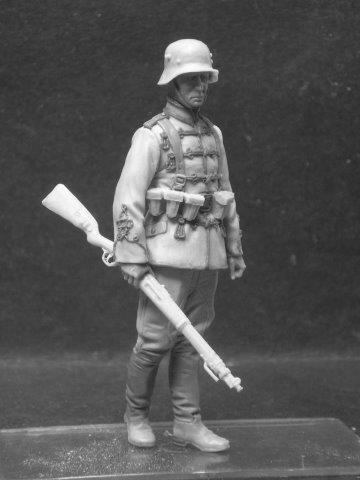 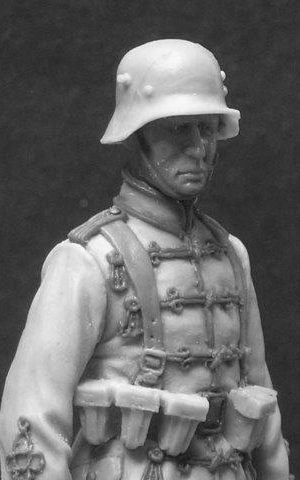 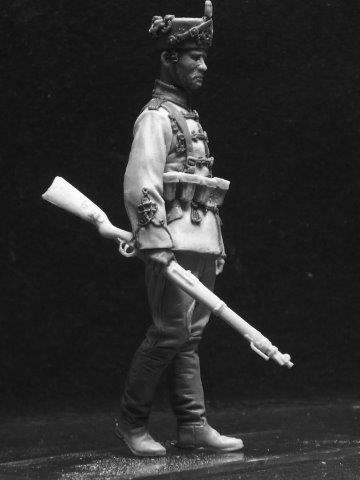 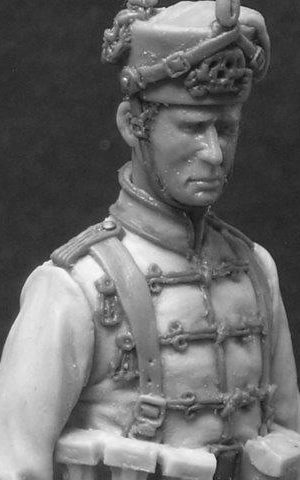 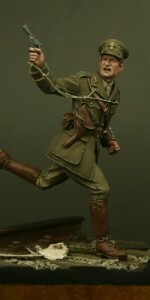 Sculpted by Nino Pizzichemi, this figure is depicts a Hussar of the 17th Brunswick Hussar Regiment, or to use their correct title; Braunschweigisches Husaren Regiment Nr.17. 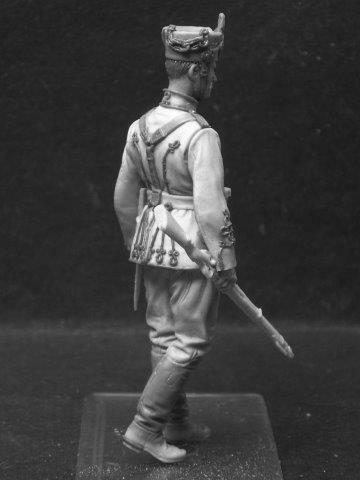 The 17th were a Prussian cavalry regiment, known from their very early days as the Black Brunswickers with a history that included service with the British in the Peninsular War and at Waterloo. 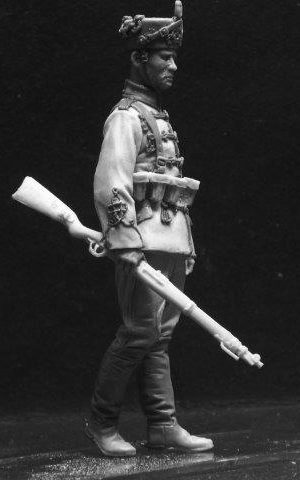 Their badge was a skull (Totenkopf) giving them the nickname Deaths Head Hussars. 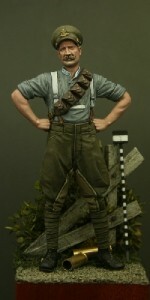 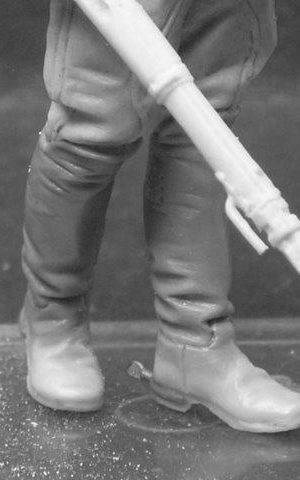 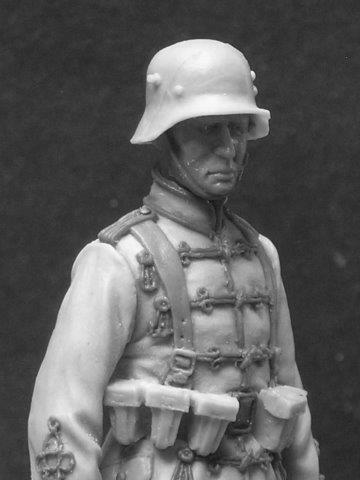 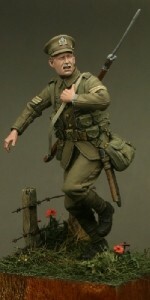 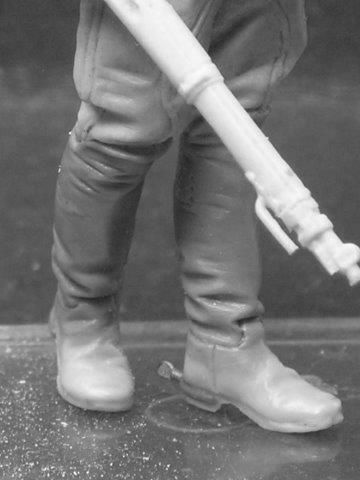 Two heads included, one with busby and one his steel helmet (Stahlhlem), see images for details. 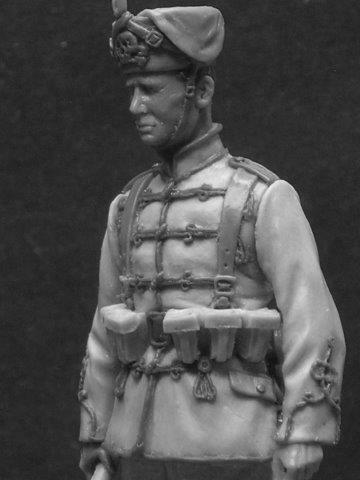 Box art will be provided by Ernesto Reyes and this site updated accordingly.